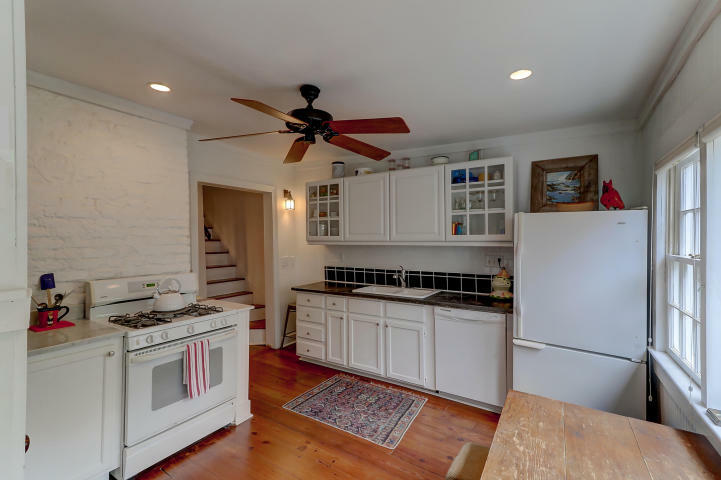 176 Smith Street is nestled in the popular Cannonborough-Elliottborough downtown neighborhood which is walking distance to some of Charleston’s main restaurants, streets, and shops. Our featured listing offers 2 bedrooms, 1 ½ bathrooms, and 1,344 square feet of living space. 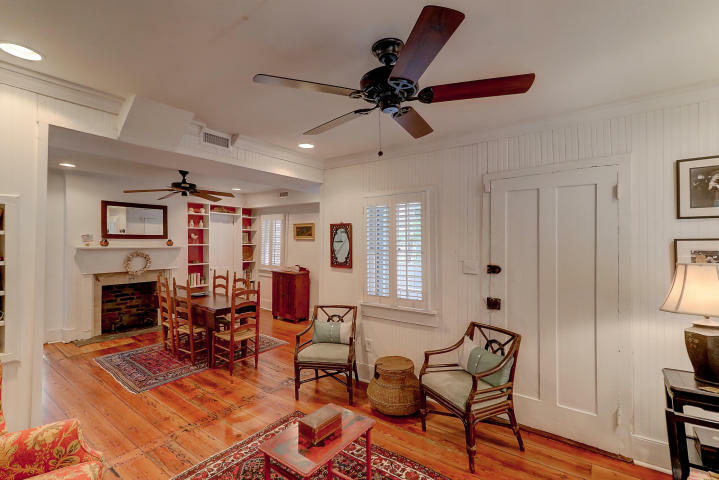 This lovely Charleston single showcases a traditional floor plan with the first floor comprising the kitchen and living/dining spaces. A ravishing kitchen showcases white cabinets and appliances, black tile backsplash, ample counter space, and offers access to the backyard. Next, the formal living and separate dining area offer a brick accented fireplace, built-ins, and original hardwood floors making the space ideal for entertaining. 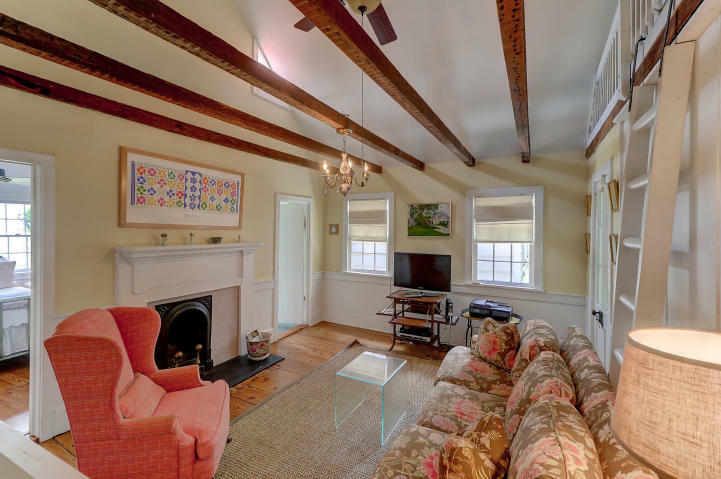 The second floor includes the two bedrooms, a central living space with exposed beams, large, and a fireplace as well as a full bath with wainscoting and nice finishes. In addition, there is a finished loft which is accessible from this floor that could function as a media/playroom or extra bedroom. 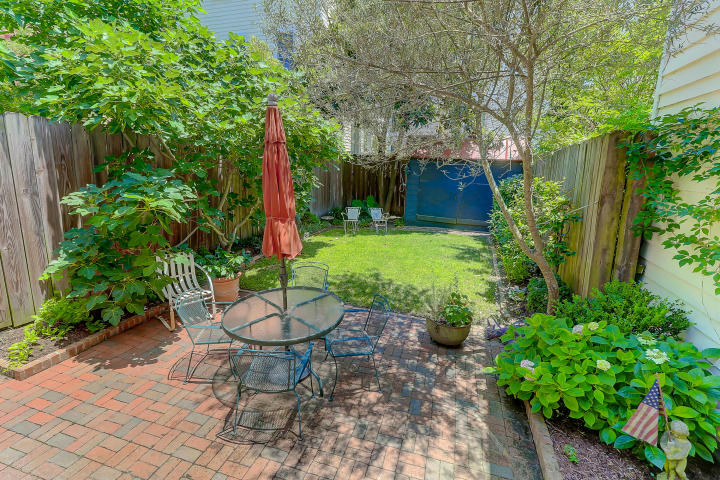 As for the exterior, 176 Smith Street boasts covered porches on the first and second floor, a brick patio, outdoor shower, and mature landscaping throughout a private backyard. 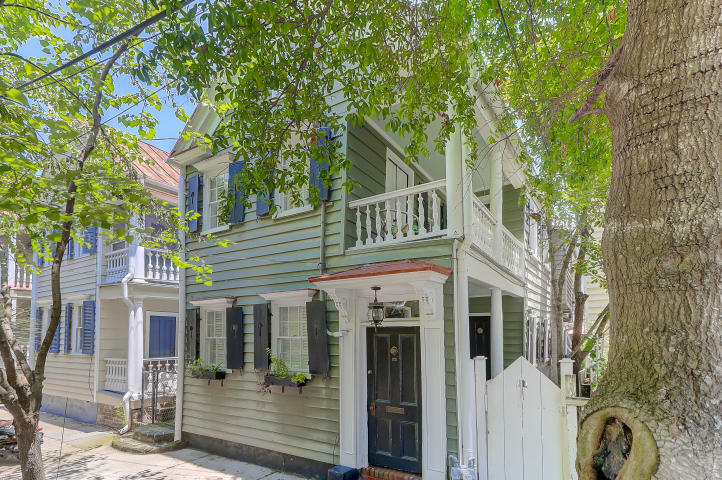 This is a great opportunity to own a Charleston single with a nicely designed interior and thoughtful outdoor space in the heart of downtown! For more information on this listing or to set up a showing, please contact listing agent Carter Rowson. 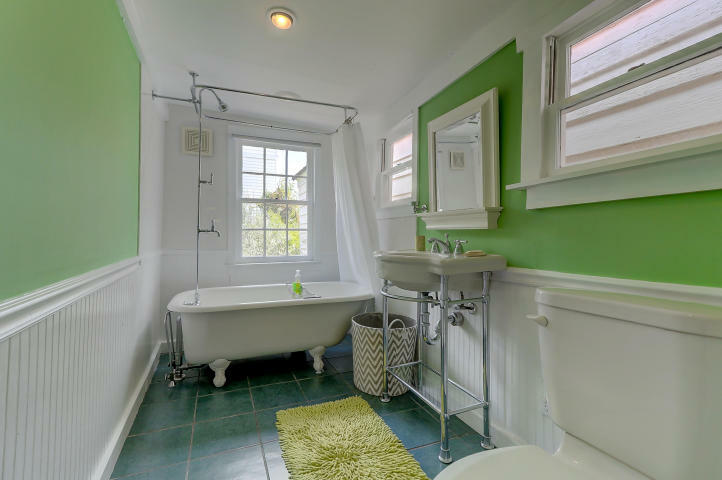 Click here to see more Downtown homes for sale.